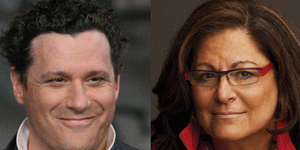 Fern Mallis, the creator of New York Fashion Week is hosting the first Fashion Icons series of the New Year with Issac Mizrahi at the 92Y on February 4. Her in-depth conversation will hit upon the designer's beginnings, successes and the other many facets of his life that make him a household name while also tapping into his insider knowledge of the fashion industry. Tickets are $29 and can be purchased at the 92Y.